One of my New Years Resolutions is to take part in at least one games jam each month. This was a goal I set myself so I could develop more variety of games for the year of 2018. 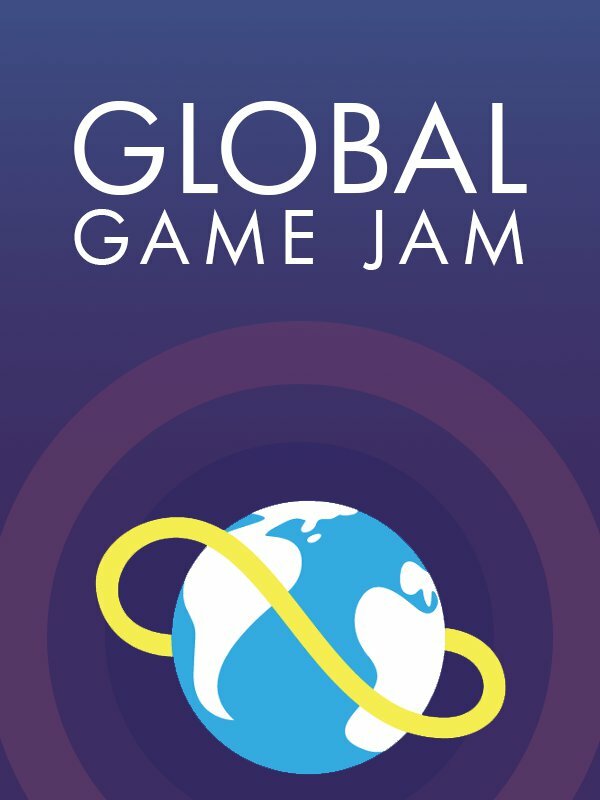 For myself, the games jam of January (and first games jam of the year) was Global Games Jam 2018, taking place on site at Staffordshire University in Stoke-on-Trent. I’ve regularly participated at GGJ since 2013 at the Stafford Campus, however in 2016 the Stafford Campus eventually closed its doors and all the departments (Computer Science, Game Development, Web Development, Film, TV and Music etc) were all moved to the Stoke Campus. I skipped 2017 after a lot of regular GGJ attendees were put off by travelling to Stoke and hearing that because of security issues they couldn’t allow overnight stay. Near the end of 2017, one of my friends asked if I was interested in going since she was going as well, so I thought “Sure, why not?”. Stoke Campus has improved a lot since I went there on rare occasions as a Student, and GGJ became a lot more organised on that site. Gone were the days where getting a table or a PC being a free-for-all, as people had to get tickets in advance for what kind of room they want, and each room had plenty of machines with the latest software (especially for Unity and Unreal Engine 4 developers). Gone were the days of little to no security or support since all rooms required a badge to get into (all attendees received badges at the start of the day) and the jam had volunteers available to provide support for the entire 48 hours. Gone were the lack of food and drinks on site as free fruit, tea and coffee were available on site, and with both Subway and the University’s Student Union Bar open all weekend and a short walk from the site. The games jam began with a keynote, featuring tips & tricks from Unity, an ad for the Amazon Appstore, a celebration of 10 years of GGJ, a talk from Robin Hunicke and an 80s style workout video from Thorsten S. Wiedemann. The audience was riffing the whole keynote up until the theme announcement, which was fun and all but I did feel bad for Robin’s talk as she was giving an inspiring talk that was meant to encourage interesting stories and concepts, but the six minutes of nonstop talking with an unchanging shot of the San Francisco Bay Area bored almost everyone. Let’s see what the games jam of February will be. So two years ago as a student researching for his thesis, I took part in the first procjam. Organised by Michael Cook, this is a games jam that focuses on procedural content, whether that be games, art, text, tools, anything that can make something. Last year I decided to go a bit basic, write some pre-existing noise and maze algorithms for the Haxe Programming Language, which I eventually tweaked and published on Haxelib and Github as MAN-Haxe. Last year, I decided that for my current project, I was going to do something relevant, and this time use no pre-existing algorithms, this is where the Gemstone Generator comes in. I have images of the meshes below that show the progress from early successful generations to the final most generation test before the UI layout was cleaned up and the demo was uploaded. The generative process is now being used in Gemstone Keeper, albeit with a different rendering process considering I’m turning Unity’s Procedural Meshes into SFML meshes. Hello everyone! Hope you all are preparing for Christmas! I have received an early Christmas treat that I wish to talk about: the 2D Dynamic Lighting Tool, Sprite Lamp! So I mentioned last week that I was going to LAUNCH Conference 2013, as well as being short listed for the Best Portfolio LAUNCH award (see here to show I wasn’t lying). Now that it’s been over for some time, I figured I shall write about it. So yesterday it was announced that the latest stable release of Unity has come in the form of Unity 4.2. Among all the new enhancements such as real time shadow mapping, Unity is allowing deployment to Windows 8 and Windows Phone for FREE! This is great news for Unity devs and Windows 8 devs like me and Ben (Nostrum Key), since we can now officially export GridLocked to Windows 8 at no extra cost! In related news, to celebrate the announcement, Microsoft and Unity have partnered up to create the Unity Windows Contest. Make a game or interactive app in Unity 4, and be in with the chance to win up to $30,000 each on two categories, Windows Store or Windows Phone! Not to mention, there are honourable mentions such as best gameplay, best port or best new game content that can win you a free Unity 4 Pro License with the Windows Store Pro deployment! Yes, you heard it. I am running a Games Jam for students at Staffordshire University, taking place on Stafford Campus. Students will be working solo or in teams to make fun and short games made for Windows platforms, and the two best games will win either a Windows Phone 8 or a Microsoft Kinect for Windows! Games will be made using easily available game development tools such as MonoGame, Unity, Construct2 and Game Maker Studio, or for the more tech savvy, can be made using pure code to run on Windows 8/Phone 8 via HTML5 or C#, and can use the free platform starter kit to get them going. Information on the Jam is on the Official Facebook Events Page. Today, I returned from the Blitz Games Studio Open Day. Obviously because of confidentiality I can’t say much without getting into trouble, but there were a lot of talks about different aspects of the games industry, a tour around the company offices and a really interesting and useful Q&A session with staff members of the main professions (for me it was the programmers).